Continuing Camden Borough's strength for all things creative, a new pop-up art exhibition is running for a limited period at 18 Malden Road in Kentish Town. Interestingly, the shop window is dressed to mimic the property displays of an estate agency but instead of showing houses for sale, it depicts memories and hopes for the future. Called 'The Spirit House' and curated by Nicola Lane, the exhibition is designed to provoke thought about change, gentrification and memories. 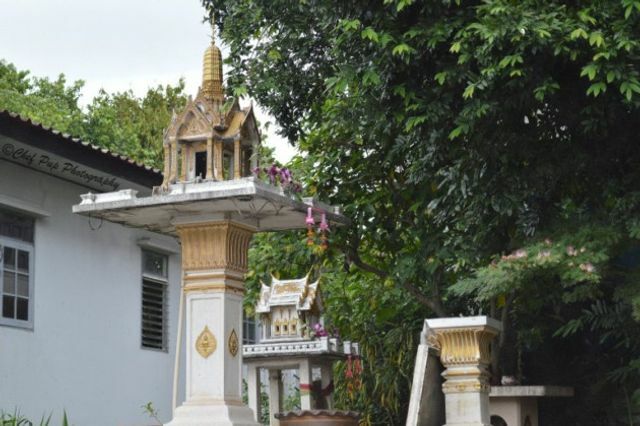 The unusual decoration also draws inspiration from the Thai concept of a spirit house, which is a miniature shrine believed to shelter a building’s protective spirit. Local residents and passers by are being encouraged to wander in and browse the maps, photographs and objects, with film screenings, installations and interactive events happening on a regular basis. The Spirit House is part of Camden Council’s project to temporarily let disused or vacant shops to local artists, start-ups and entrepreneurs, with the installation at 18 Malden Road created in partnership with the Geddes Gallery and Holborn Library. Catch the exhibition before the 20th March 2017. Photographs and objects will hang in the window which is dressed like an estate agent “with a subtle difference”.